The hosts England is now strongly focusing to end this five-match Test series against the visitors India with the 4-1 margin along with a big victory. 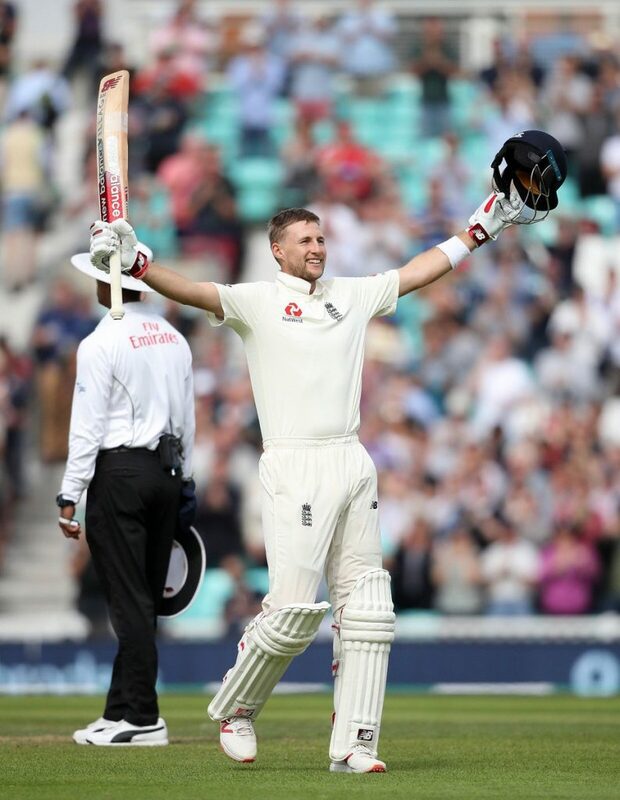 At the stumps on day four of the fifth and final Test of the series at The Oval, India is struggling on 58/3 after coming to chase the mammoth target of 464 runs that set by Alastair Cook and Joe Root’s brilliant batting in the second innings. 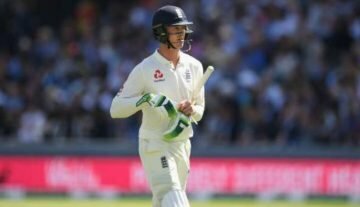 Playing his last international cricket innings, Alastair Cook scored a brilliant century and set his team for a good third innings total through a giant 259-run third wicket partnership along with the skipper Joe Root. 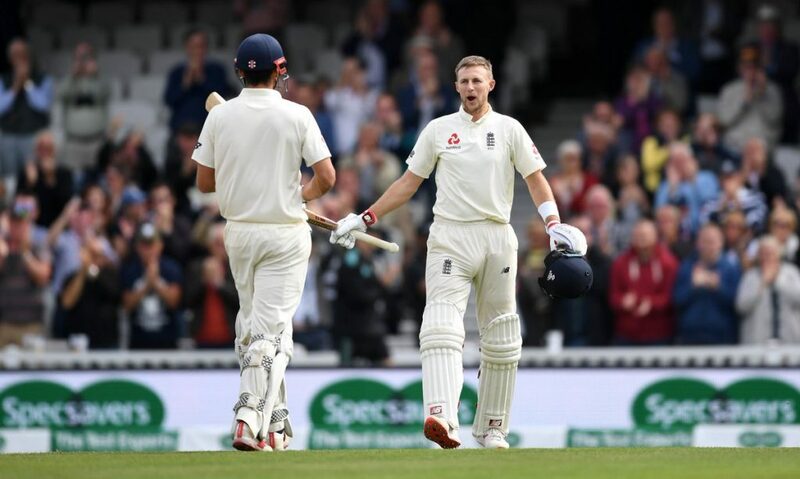 Both Cook (147) and Root (125) scored centuries and the next batsmen contributed some important quick knocks that helped England to score 423/8 before the declaration that set a mammoth 464 runs target for the Indian cricket team. Among the Indian bowlers, Mohammed Shami (2/110) got two wickets while Ravindra Jadeja (3/179) and Hanuma Vihari (3/37) picked up three wickets each. Chasing down that target, the visitors lost their three top-order batsmen in just first four overs. Opener Shikhar Dhawan lost his wicket only one run while Cheteshwar Pujara and the skipper Virat Kohli scored the ducks as India went down to 2/3 at one stage. Another opener KL Rahul rescued the team somehow with the vice-captain Ajinkya Rahane till the end of the day as India was 58/3 at the stumps on day four and they still need 406 runs to win this game. At the stumps of the day, Rahul is not out on 46 runs while Rahane was batting on 10 runs. English pacer James Anderson (2/23) got two wickets and another pacer Stuart Broad (1/17) picked up one wicket till the end of the day. Alastair Cook (12,472 runs) becomes the leading Test run-scorer as a left-handed batsman. He surpassed the previous record holder Kumar Sangakkara (Sri Lanka) who had scored 12,400 Test runs. In overall, Cook is the fifth most Test run-scorer. 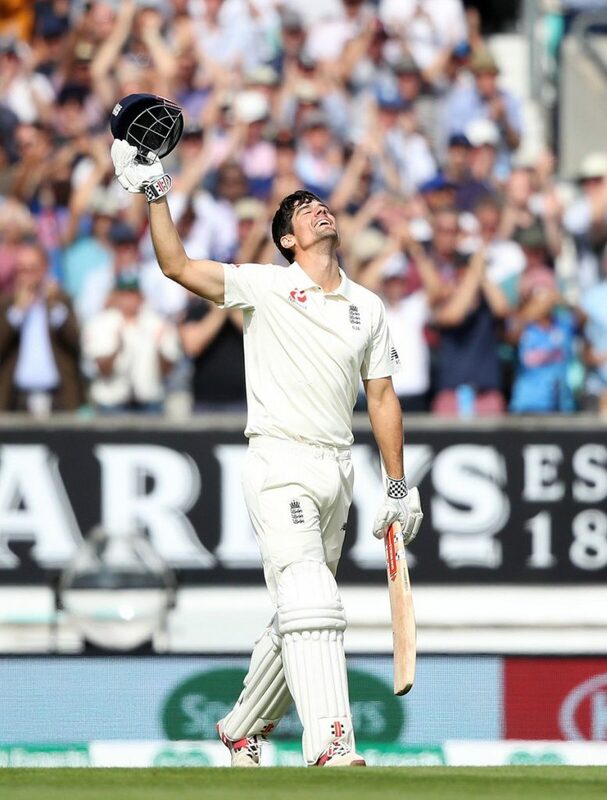 Alastair Cook becomes the fifth overall batsman and first English batsman to score centuries in both the debutant and final Test match. The other cricketers were Reggie Duff (Australia), Bill Ponsford (Australia), Greg Chappell (Australia) and Mohammad Azharuddin (India). Alastair Cook is the only second batsman to play four 50+ knocks in debutant and final Test match. Former South African cricketer Bruce Mitchell was the first man to achieve this feat. Alastair Cook scored his 31st Test century as an opening batsman and this is the second most number of Test centuries as an opening batsman after surpassing the former Australian opener Matthew Hayden (30 Test centuries). The record holder is Indian legendary opener Sunil Gavaskar with 33 Test centuries in that position. English captain Joe Root scored 125 runs during England’s second innings. It is the highest second innings (3rd or 4th innings of a Test match) knock by an English Test captain against India on the England soil. The previous record was 124 by Michael Vaughan at Nottingham in 2007. In their second innings, English batsmen Alastair Cook and Joe Root put a brilliant 259 runs partnership for the third wicket. It is the second highest partnership of any team’s second innings (3rd or 4th innings of a Test match) of a Test match against India for any wicket. The record is 352 runs partnership for the sixth wicket between New Zealand cricketers Brendon McCullum and BJ Watling at Wellington in 2014. Meanwhile, it is England’s fourth highest Test partnership for any wicket against India. England scored 423/8 in their second innings before declaring their innings. It is their fourth highest second innings total against India. After scoring an impressive 56 runs during India’s first innings, the debutant Hanuma Vihari took three wickets during England’s second innings. He becomes the fourth Indian cricketer to play a 50+ knock and also took at least three wickets in the debutant Test match. The other three Indian cricketers were Amar Singh, Dattu Phadkar and Sourav Ganguly. Indian skipper Virat Kohli scored a golden duck in the fourth innings of a Test match. He becomes the fifth Indian captain to score a golden duck in a Test match against England. At the stumps of the day, England pacer James Anderson has taken 563 Test wickets. 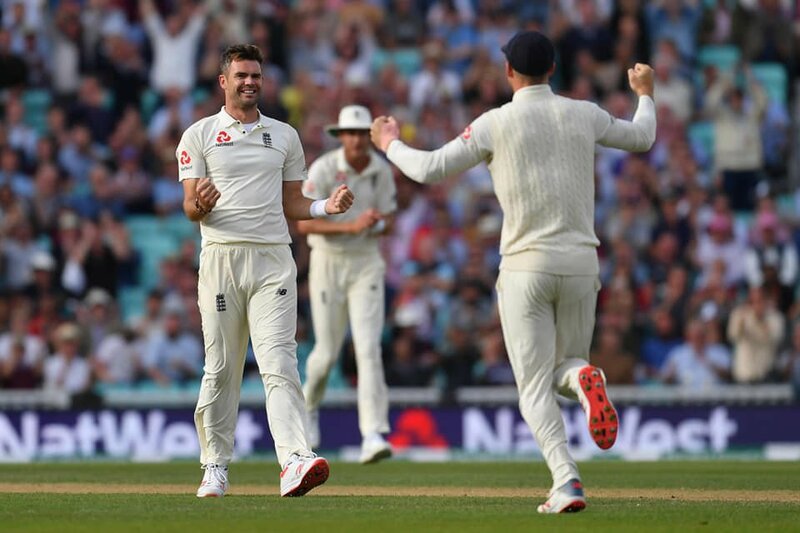 Currently, Anderson is the joint leading Test wicket-taker as a pacer by equalling the record of legendary Australian pacer Glenn McGrath (563 Test wickets).